Controlling your ladybug problem is a difficult task. Sealing cracks and spaces around doors, windows and foundations may not completely deter these pests. 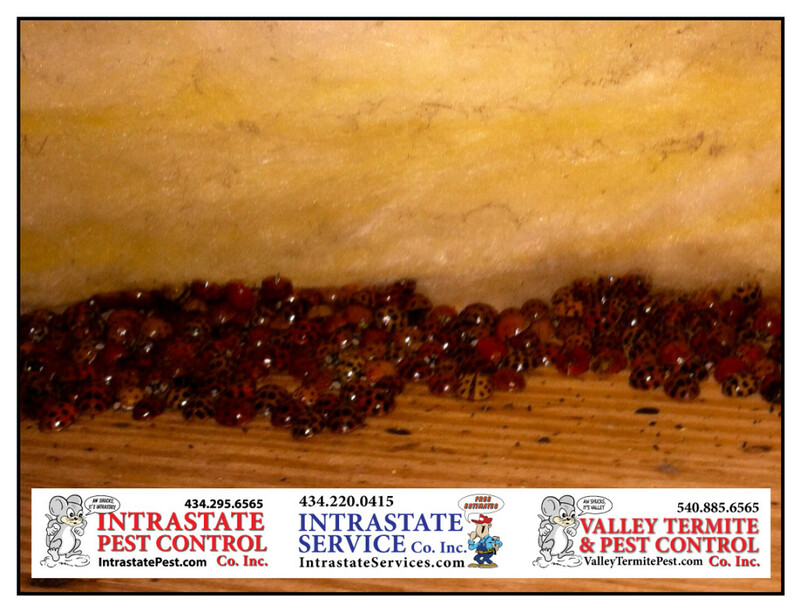 If ladybugs have infested your home, call the pros at Intrastate! Intrastate Pest & Service Co’s will protect your home from pests! Call Intrastate Inc. today: 434-295-6565! Intrastate Pest Control is a family owned business that has been serving Central Virginia for four generations. We also serve Manassas, Culpeper and Orange County! At Intrastate Pest Control we start by giving you a FREE CONSULTATION and inspection to determine the source and extent of any problems. After that, we can devise a plan that is specifically for you. Our goal isn’t just to protect your home. We practice responsible pest management that keeps you, your home and our planet safe. We are 100% committed to utilizing “green” techniques to control pests whenever it is possible. If your home needs other updates or services, including mold removal, home additions, remodeling, plumbing and more, please visit our sister company, Intrastate Service Company or call them at 434-220-0415. Get a Free Consultation and Inspection to determine the source and extent of your problems. After that, we can devise a plan that is specifically for you! Copyright © 2019 Intrastate Pest Control.